Engineered Systems – Pumps & Systems Inc. Pumps & Systems “Severe Duty” Abrasive Removal System is the most robust / heavy duty system available in the waterjet cutting industry and is designed for the “production” waterjet cutting environment. A rubber coated, vertical, seal less pump, pulls the abrasive laden water through an over sized suction strainer basket, then pumps it in to the heavy duty centrifugal separator. The spent abrasive is then purged into a #4400 bag hopper. The clean return from the separator feeds the agitation package in the waterjet catch tank. Pumps & Systems pressure boosting solutions are the optimal choice for commercial building, water supply, industry, and irrigation applications. Our complete packaged systems provide consistent, reliable and efficient pressure boosting to meet capacity requirements for your application. 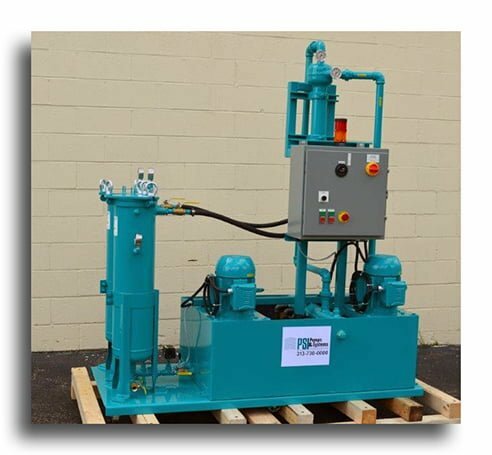 The Pumps & Systems Waterjet chiller is used to cool the hydraulics on the intensifier pump, dissipation for the direct drive feed water and reduces water consumption up to 75%. 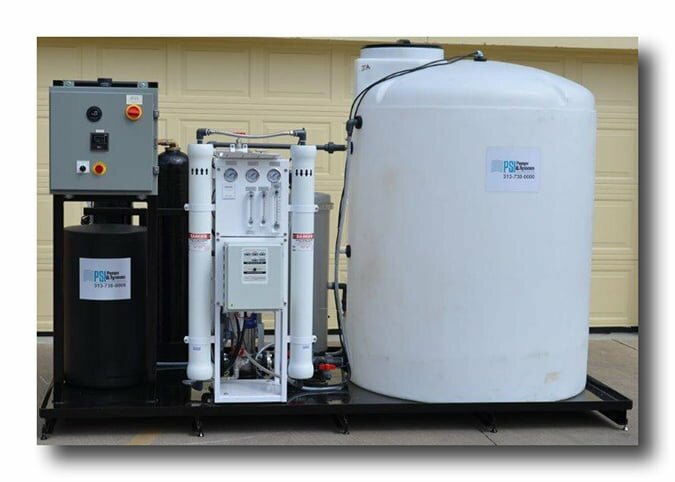 We have engineered chillers for both the Water Recycling and Reverse Osmosis systems. 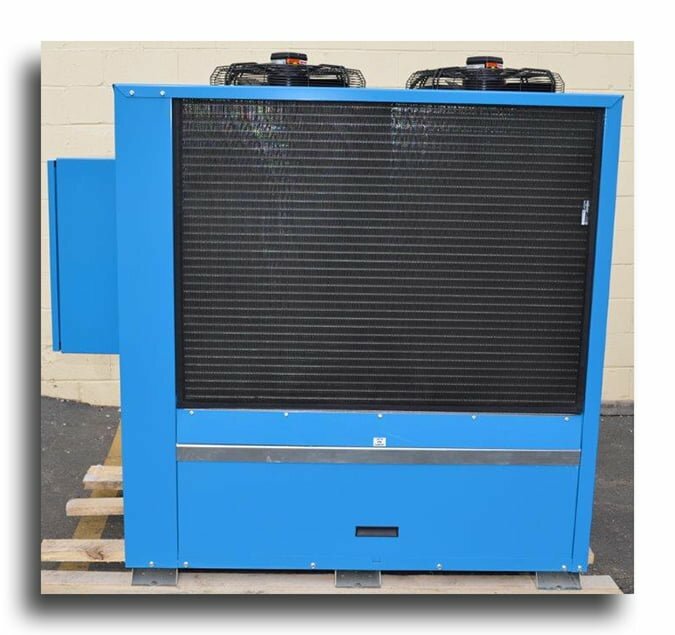 All chillers exceed OEM BTU specs for cooling. The Digital Controller will set off an alarm if certain parameters for flow and pressure are not met. 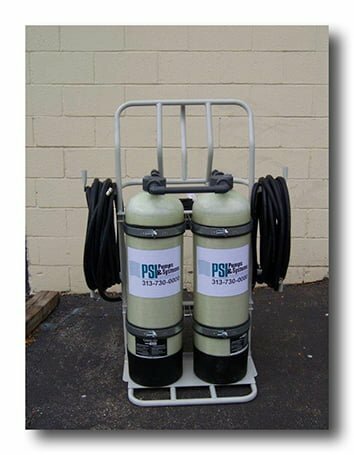 Pumps & systems DI Cart makes it possible to filter hard water at any location due to its size and ease of portability. All machining processes that use water require highly filtered / pure water to perform optimal levels. Our DI cart systems use fiberglass exchange tanks or stainless steel “bag” media vessels. 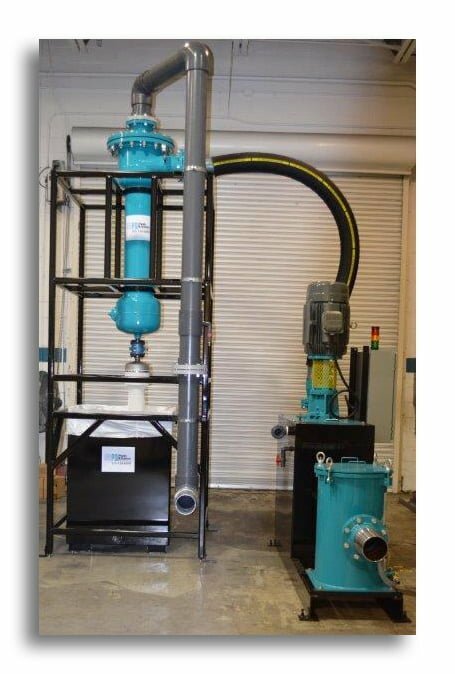 The Pumps & Systems Grinding System eliminates downtime and loss of production for sump cleaning. The clean coolant will extend wheel life and reduce wheel dressing. Dual sludge receivers for uninterrupted filtration during filter service. The Grinding System will reduce coolant consumption and disposal as well as help reduce rejected parts. 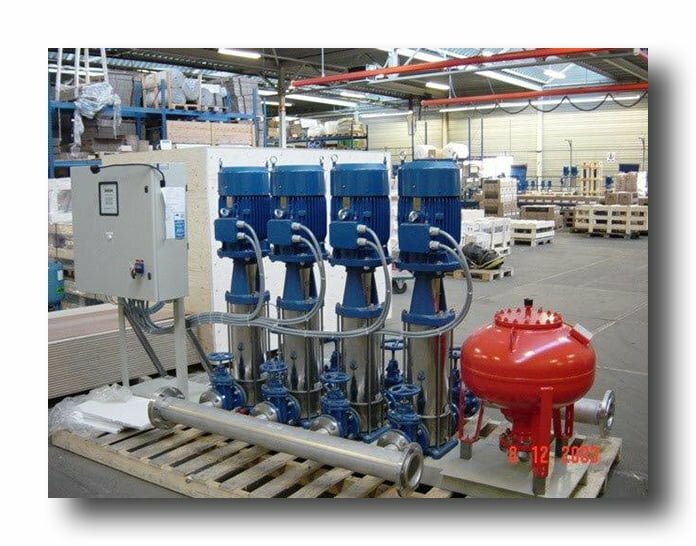 The Pumps & Systems Reverse Osmosis System is used as make up water for the Water Recycling Systems or as the primary cutting water feed. Reverse Osmosis Systems lower the operating cost of running a WRS by almost 50% by providing DI quality water at a fraction of the price per gallon. The Pumps & Systems Water Recycling System completely reuses all cutting and cooling water. The Water Recycling System addresses the four critical areas of water recycling: Suspended Solids, Dissolved Solids, Temperature and Organic Fouling. 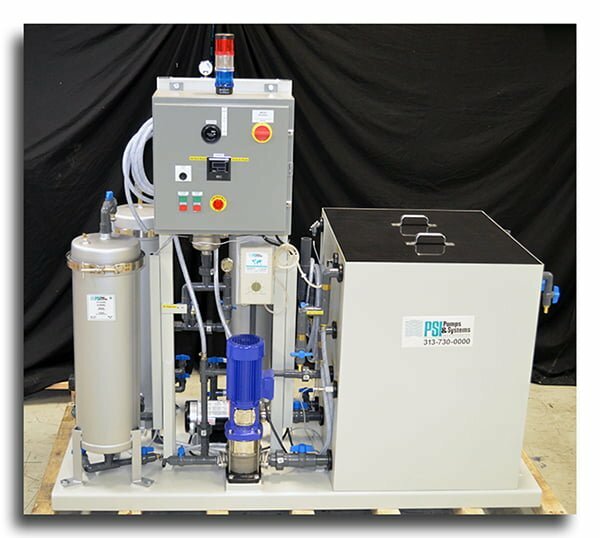 The Water Recycling System can be adjusted to send any Waterjet pump OEM’s specifications for the water quality and water temperature back to the HP Pump.